Ray Garcia, Owner, and Brayette Garcia, Assistant, VMG Construction LLC, talk about the wide variety of services that they offer. For more information, please visit www.vmgremodeling.com or by calling 517-574-4835. WSYM —Ray Garcia, Owner, and Brayette Garcia, Assistant, VMG Construction LLC, talk about the wide variety of services that they offer. 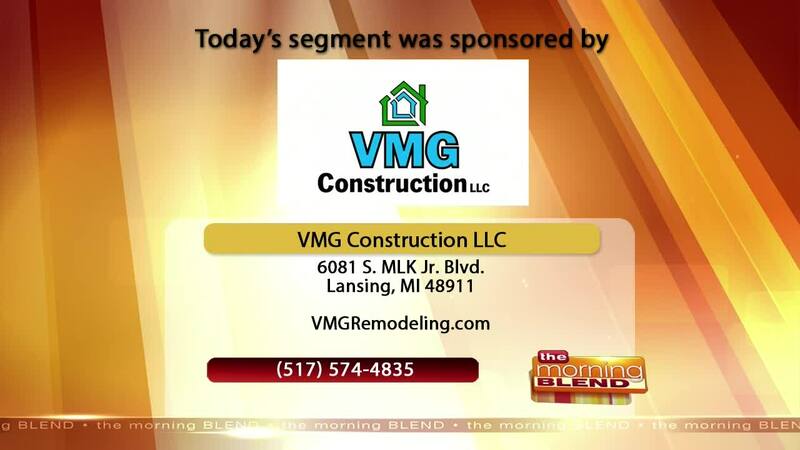 For more information, please visit www.vmgremodeling.com or by calling 517-574-4835.